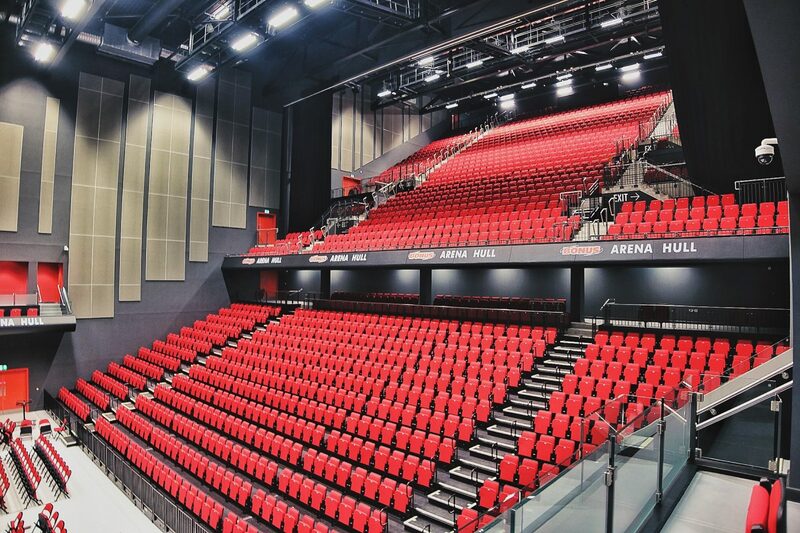 Bonus Arena was an exciting new addition to Hull this year, and I’ve now had a tour of the impressive venue three times… And there are six things that happened during these tours that you should definitely know about. 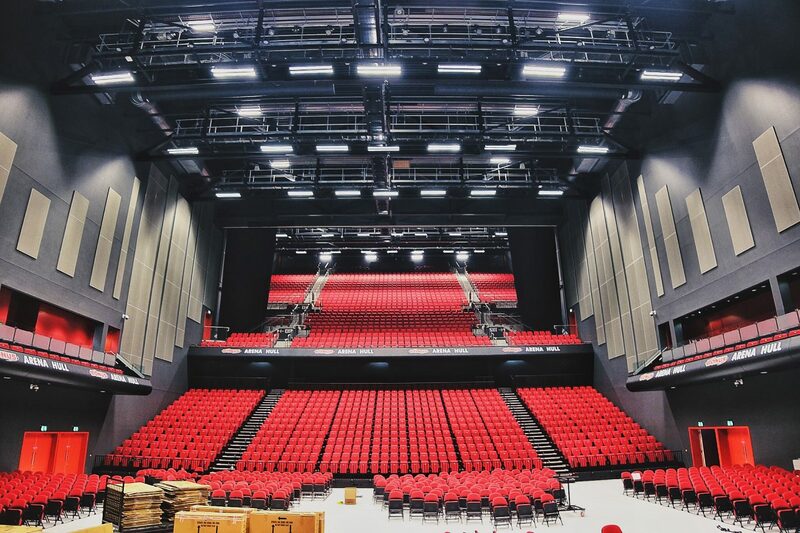 This year saw Hull become home to a new venue in the heart of the city – the Bonus Arena. Hullensians followed its journey from the bare skeleton of the building right through to it officially throwing open its doors in September. I made my way to the very back row of the arena – which isn’t actually THAT far back. When it comes to gigs, I’m a standing girl through and through. Always have been, and always will be. You just can’t beat standing amongst a crowd of like-minded people, singing your heart out and perspiring pretty darn heavily as a result of excitement, dancing and a tonne of bodies in one area. But, whilst exploring the Bonus Arena, I ventured somewhere I had never ventured before – the back row. Duhn duh duhhhnnn. I know – shocker. 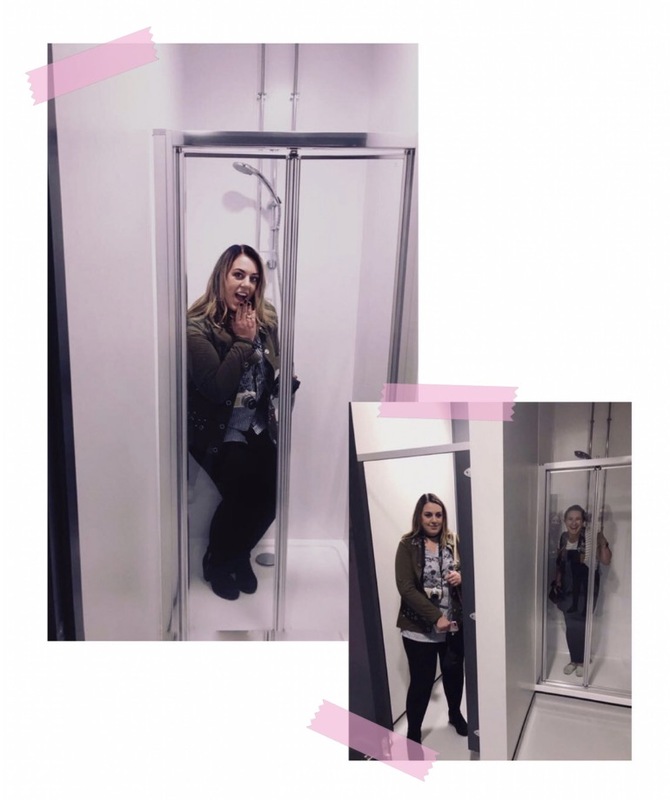 I stood in George Ezra’s shower. Kinda. During our tour, we got to take a look backstage at where the likes of Rick Astley, George Ezra and Jack White have now all hung out before and after their shows. Prior to his gig, and knowing what a huge George Ezra stalker fangirl I am, the team pointed out which exact room would be his. Naturally, as any fangirl would, I tried to hide in his toilet so I could camp out until he arrived. And then I hopped straight into his shower. Because, well, I can now say that technically – technically – George and I have shared a shower. At different times, but shared nonetheless. Hubba hubba. I spent about 39797493 minutes staring at the Hull mural. Not wanting to leave their walls too bare, Bonus Arena commissioned a huge Hull mural from local artist Joseph Cox. In an explosion of bright colours, this incredible piece of artwork celebrates the entertainment, cultural and artistic icons of Hull. With everything from our much loved buildings like the City Hall and The Deep, to the famous faces who originated here such as Calum Scott and Luke Campbell, this mural has around 250 nods to Hull. And I quite honestly could have spent all day hunting them all down. And yes, our beloved chip spice is on there. I heard a couple of fun toilet tales. Wanting to be completely thorough in making sure the building was fit for use before opening, the Bonus Arena team invited people to test their plumbing by coming along to their Grand Flush event… Quite literally an event in which 150 people were needed to come and flush toilets in unison. And, in true Hull style, the locals went above and beyond in stepping up to the plate. Not only did the Bonus Arena get all 150 people they needed, they had a whopping 956 on the waiting list. Yep. That’s 1106 Hullensians who enthusiastically signed up to flush a toilet. And whilst we’re on the subject of toilets, let me tell you all about a cool feature the Bonus Arena loos have. The wall dividing male and female cubicles moves, so for an event that would typically attract more of one gender than the other, the cubicle ratio can be shifted. That’s right ladies. 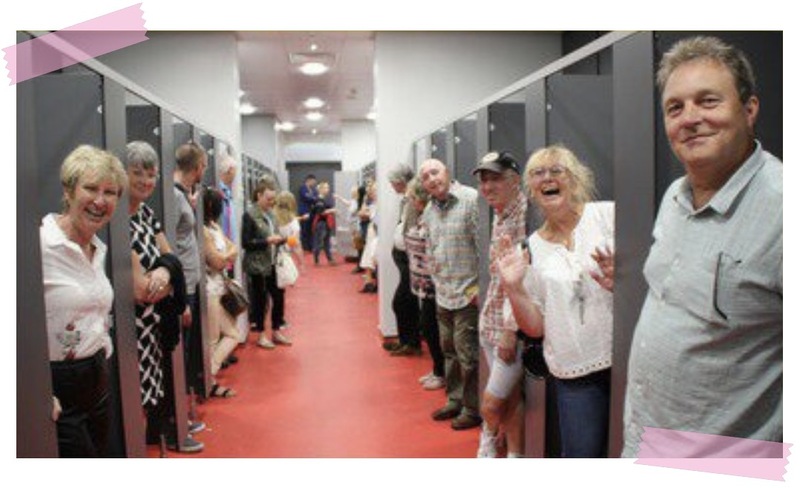 You can go and see the Dreamboys in safe knowledge that there’ll be no never-ending toilet queues in which you have to dance on the spot while you wait your turn. If you’re from Hull, you’ve no doubt seen that Bonus Arena has announced a bit of everything over the last few months. There’ll be music ranging from The Courteeners and Richard Ashcroft to Boyzone and The Beach Boys. Comedians such as Jimmy Carr and Romesh Ranganathan will be bringing laughs to the arena. You can even catch Love Actually and Jurassic Park in concert. Oh, and the Dreamboys will be raising the temp there, too. In fact, Bonus Arena currently has acts booked right into 2022, and we’ll see more and more of them announced throughout the next year. And despite my best efforts, they’re keeping tight-lipped about what we can expect. I left feeling really excited. As soon as I witnessed the arena in the flesh, I had that lovely excited feeling in my chest. 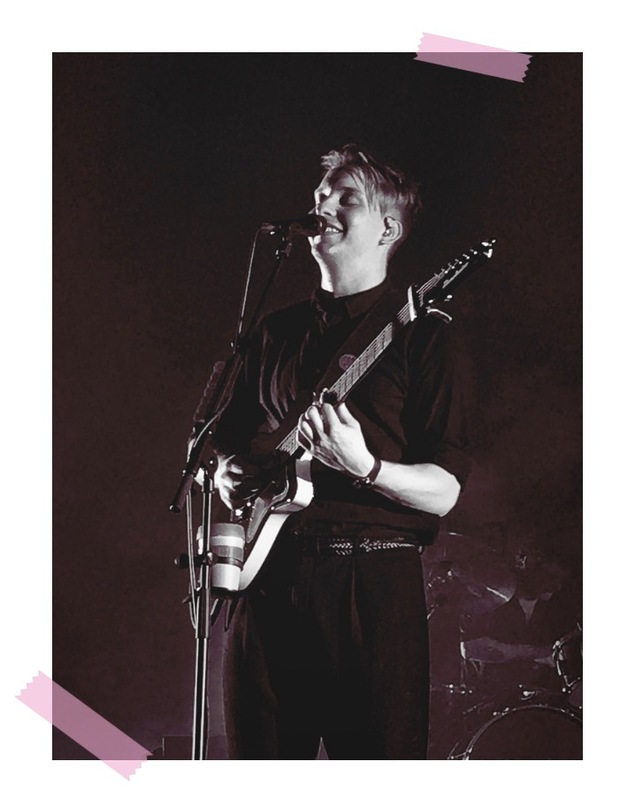 A place on my doorstep that brings me live music that’s just a taxi ride away, and even hosts my future hubby, George Ezra? Yes pur-lease. For years and years, even right back when I had to rely on Mumma and Papa Gibbs to play taxi for the night, I’ve travelled up and down the country to go and see bands and artists I love. And I was always happy to do so. But sometimes that meant spending more on travel to a venue than I spent on the tickets in the first place. Or sometimes it meant being designated driver, so no beer for poor Ashton. But now, I have a venue in which I can drink as many pints as I want and get home with a ten minute ride in a taxi. Enough to excite anyone, right? Of course, I now have an lengthy list of acts I’m hoping the Bonus Arena will secure for a gig – Kodaline, Tom Grennan, Picture This, Twin Atlantic, Tom Odell… ahem. Hint. Who would you like to see come to the Bonus Arena?